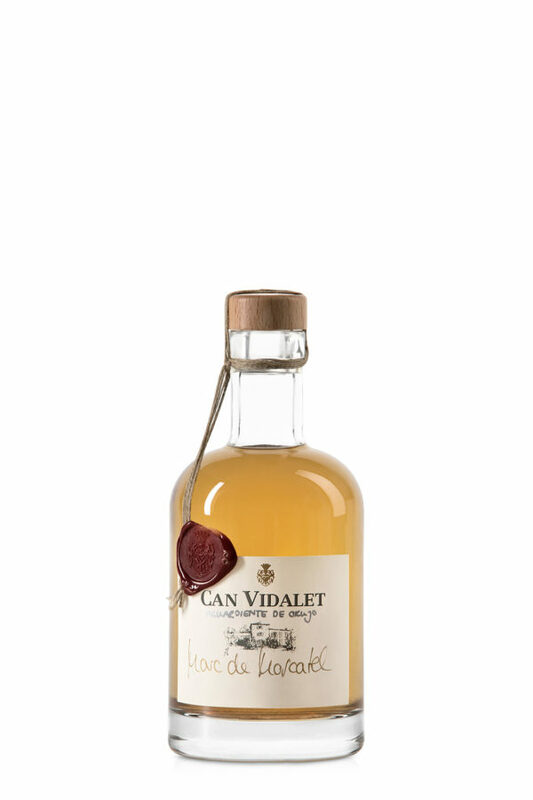 In Bodegas Can Vidalet distilled grape brandy. Distilled in small batches. Bottled, labelled and sealed by hand. Amber colour, clean and bright. On the nose we find primary aromas from the Moscatel grape and maturity notes from its aging period in French Oak barrels. In the mouth, well-structured and long lasting. Pomace (fermented skin and seeds) from Moscatel grapes.